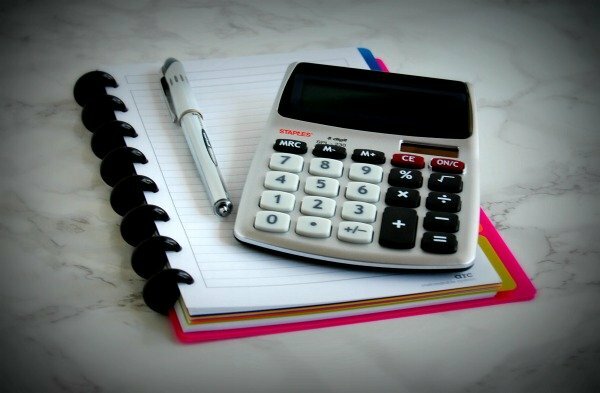 Blogging Basics: How Much Does it Really Cost to Start a Blog? 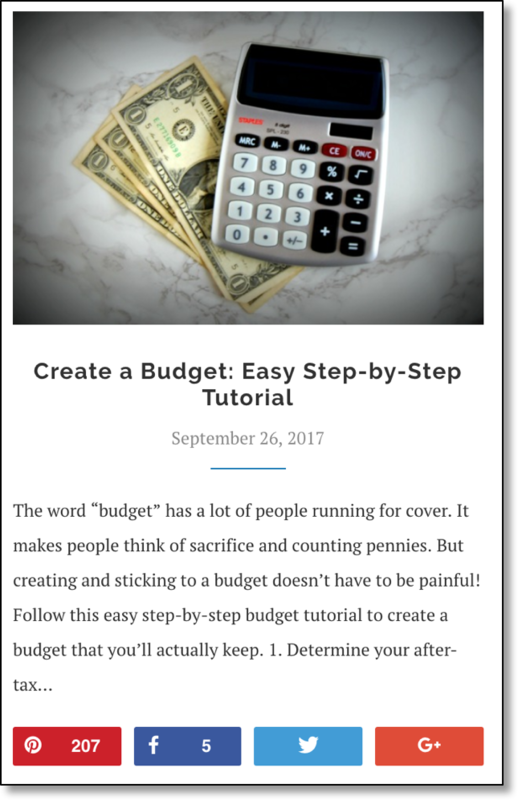 Do you want to start a blog, but are worried about costs? Don’t be! A blog can be as cheap or as expensive as you want it to be. 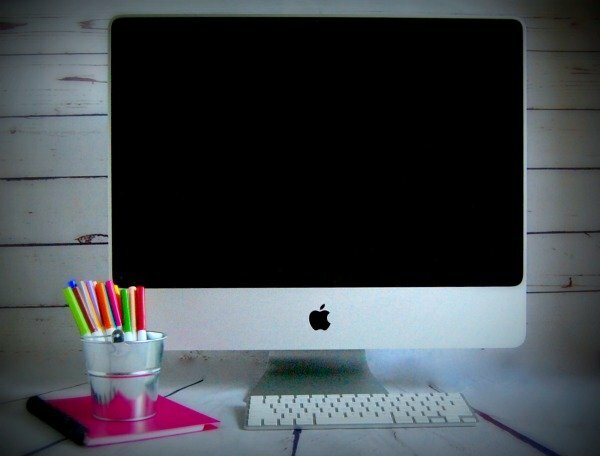 As you begin your blog, you can focus on “must-have” services. Once you have some experience and start making money with your blog to cover more costs, you can expand into “nice-to-have” services. To help you figure out how much it really costs to start a blog, I’ve listed the services that I purchased in my first year blogging below. These are my “must-have” services based on my personal background (ZERO web development experience!). If you have more experience in a particular area, you may be able to rely on your own expertise and skip one of the services below. To get your blog up and running, you’ll need a web hosting service to publish your website so that everyone can see it. I use SiteGround for my web hosting services. To say that I love them is an understatement. SiteGround’s support team rescued me when a faulty plug-in had me blocked from my administrative site. They responded to my inquiry within seconds (yes, seconds!!) and got me access to my blog again. You devote a lot of time and energy to your blog, so it can be really upsetting when you can’t get access to your site. SiteGround’s support team was so professional and quick to respond that I never had the chance to panic – they got me up and running again right away fast. Another popular web hosting service is Bluehost. Many bloggers are very happy with Bluehost’s web hosting services. It is possible to get web hosting services for free. Examples of free services include Google’s Blogger and WordPress.com (read about the difference between WordPress.com and WordPress.org here). But these “free” services have some major costs. For example, the free version of WordPress.com limits the type of advertising you can use on your blog. This is a major limitation if you want to use advertising to make money with your blog. The terms of service for Google’s Blogger contain scary phrases like “Google may also stop providing Services to you, or add or create new limits to our Services at any time.” I don’t want any of my blogging services to disappear at any time. Another major limitation to free services: lack of support. If you’re new to website development like I was, you’re going to want someone there to bring your blog back to life when a rare technical issue brings your site down. 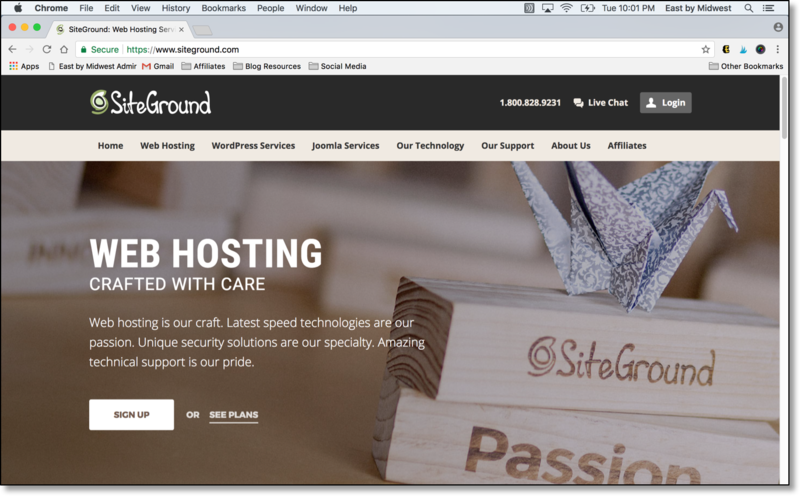 I highly recommend SiteGround for your web hosting services. I’m so, so happy with their amazing technical support. After you purchase SiteGround, you’ll be able to download and install WordPress.org (see instructions here). WordPress.org is free software that you can use to develop your website. 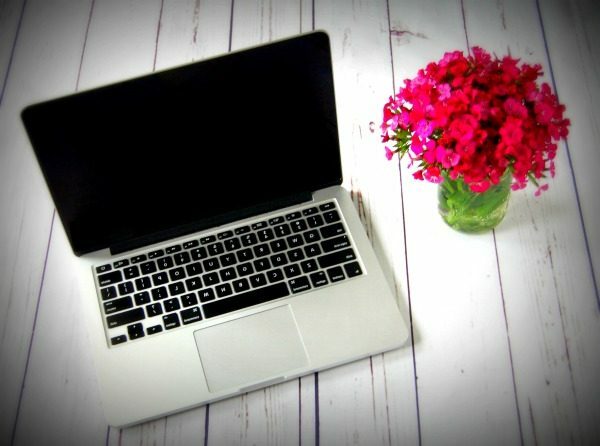 WordPress.org has a ton of free themes, or templates, that you can use for your web page design. I really, really tried to use one of these free themes. It just didn’t seem right to pay for a web page design when there were so many free options available. But none of the free themes were exactly what I wanted. And I had zero web development experience. That translated into hours and hours of wasted time trying to figure out how to make a free theme look the way I wanted. Finally, I had to give up on the free themes. I searched for some paid themes and stumbled upon ThemeForest, which had themes for as little as $2. I couldn’t believe it – I had spent all that time trying to work with a free web design, when I could have saved myself all that time and energy and bought a theme from ThemeForest for $2. Because I had zero web development experience, I searched for a theme that had tons of pre-made templates and detailed instructions. I opted for the Soledad theme. At $59, it was more expensive than some of other themes. But after all the frustration I went through trying to make the free themes work, I was done wasting time on something that didn’t work. I didn’t want to buy a cheaper theme, regret it, and then still buy a more expensive theme later. I’m very happy with my choice. To me, this was one of the best investments in my blog. If you have limited web design experience like me, I highly recommend purchasing a theme from ThemeForest. Their themes are easy to modify and have detailed instructions to help you make changes. If you’re more experienced, you may be able to skip this cost and modify a free theme to meet your needs. Social media is key to helping your blog reach a wider audience. And getting noticed on social media requires quality visuals. That’s where quality photo editing software like PicMonkey comes in. With some social media sites (like Instagram or Facebook), an eye-catching photograph alone captures attention. For other social media sites (like Pinterest), you need the combination of an eye-catching photograph and an attention-grabbing statement or question. I spent lots of time trying to use the free, pre-installed software on my computer for my photo editing. Lots of wasted time. (You starting to see a trend here?) I really wish I had just purchased a photo editing software right away. If I had, I could have focused on energies on publishing content. Instead, I was wasting time trying to force free tools to do something that they weren’t designed to do. I eventually caved and bought access to the photo editing software site, PicMonkey. For $3.99 a month, you get access to design templates, photo editing, collage making, and graphic design. Seriously. Just $3.99 a month. Again, I can’t believe I wasted all that time when I could have gotten access to PicMonkey for less than $4 a month! 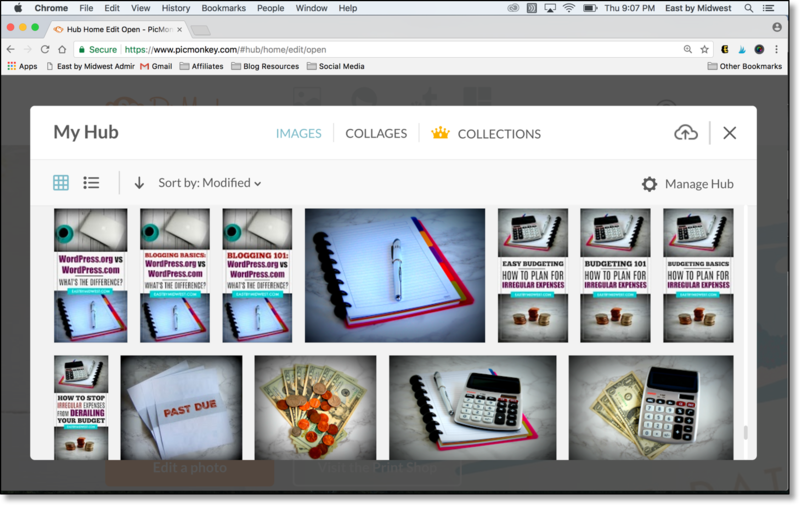 I use PicMonkey for all my photo editing for my blog and social media. It’s easy to create, save, and modify templates. You can use these templates to create a consistent theme/brand for your blog every time you publish a new post. 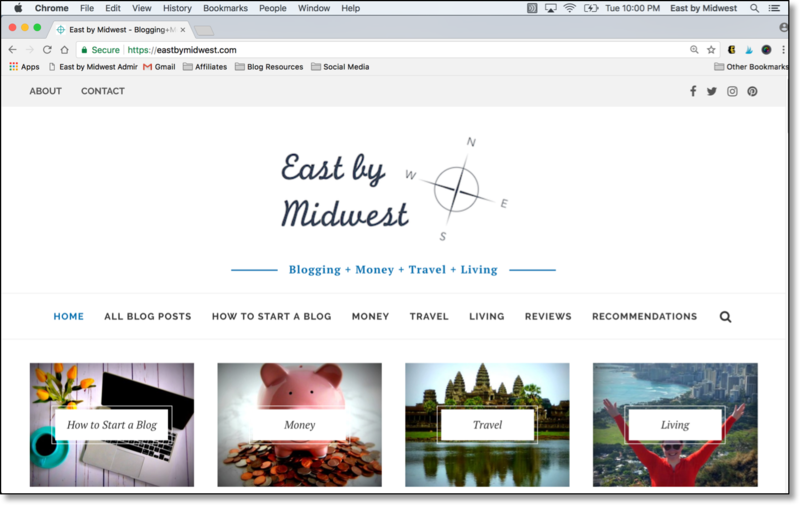 PicMonkey also makes it easy to use A/B testing for your blog. A/B testing is when you share versions of the same picture or post on social media to see which version gets the most attention. You can read more about A/B testing here. If you need more advance options, check out Adobe’s photo editing tools. If you’re looking for easy-to-use, quality photo editing, I recommend using PicMonkey. It’s inexpensive and an easy way to create quality graphics to attract people to your blog. If you’re on the fence, try their 7-day free trial. To drive traffic to your blog, you’re going to need help from social media. With all the different types of social media sites, scheduling posts and writing social media content can get overwhelming fast. That’s why social media schedulers like Tailwind are your friend. You can schedule a month’s worth of posts in a couple hours and not worry about it for the rest of the month. You can have an online presence even when you’re not online. You can go on vacation or spend time with friends and family without worrying about your scheduling social media. You can spread out your posts so that you don’t overwhelm your readers all at once. You’ll maintain a consistent voice and theme, since you’re creating all the posts at the same time. Because you’re working in batches, you’ll create efficiencies and will cut down on the time it takes to do this task. I use Tailwind to schedule my Pinterest and Instagram posts. If you’re like me, you’ll have Pinterest binge sessions where you’ll pin dozens of images all at once. Tailwind will spread these binge pin sessions out across a pre-set schedule of the best times to pin for your audience. You can also set a specific time you want a pin to post. 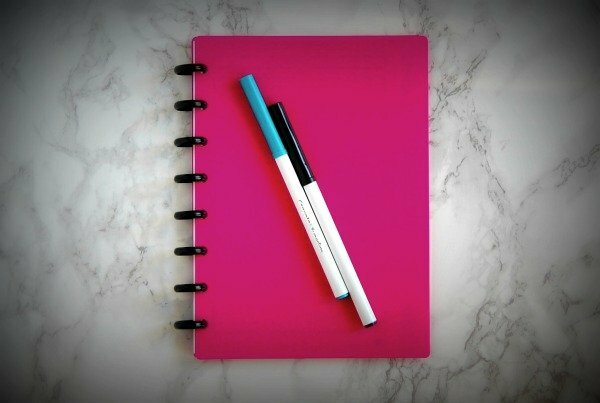 Say you created an amazing gift guide. You can use Tailwind to schedule your pin to post several times over the Thanksgiving weekend so it catches people’s attention when they’re looking for gifts. 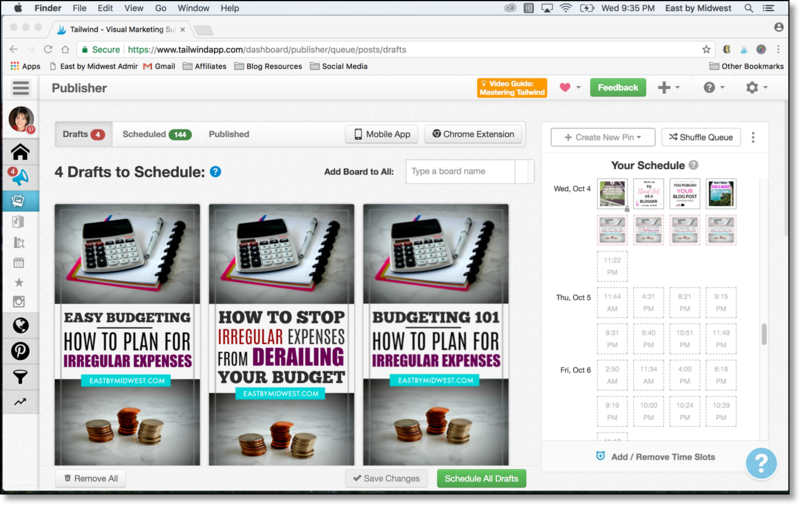 I highly recommend Tailwind for scheduling your Pinterest and Instagram posts. For me, it’s a huge time-saver and helps me to feel more organized about my social media strategy. Cost: $9.99 per month for Pinterest scheduling + $9.99 per month for Instagram scheduling = $19.98 per month. This is my biggest per month blog expense. To me, it’s worth it. The Pinterest and Instagram posts that I schedule with Tailwind are a huge source of traffic for my blog. 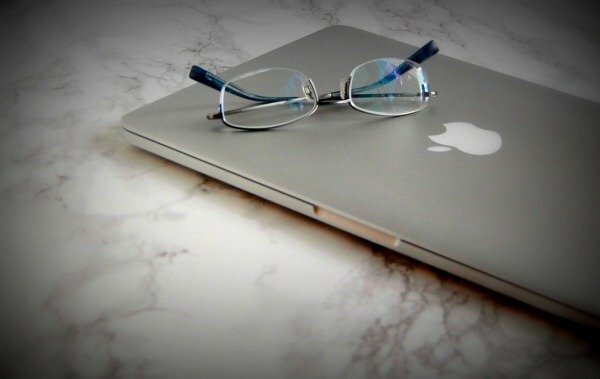 Without these posts, my blog would be pretty lonely. If you’re trying to count your pennies (which I support! ), go with just the Pinterest scheduling for $9.99 per month. You can always add Instagram scheduling to your Tailwind account in the future when your blog is more established. When a visitor stops by your website, hopefully they’ll love your content and want to share a whole bunch of your posts on social media. You want to make it very easy to share your posts to encourage lots of sharing. I struggled with the free options for social media share buttons. They didn’t operate the way I wanted them to and I didn’t have the coding experience to figure out how to change them. Then I found Social Warfare. I love these beautiful social media share buttons. They’re easy to modify and have a ton of placement options. Social Warfare has a social media section at the end of each blog post for me to complete. It tells me the right number of characters for each social media site and the right picture size (taller for Pinterest, shorter for the other sites). Every time someone clicks on one of my social media buttons, it’ll be pre-populated for them with the right message and picture for that social media site. That makes it super easy to share posts. And the easier it is to share, the more shares you’ll get! Run, don’t walk, to get the Social Warfare social media share buttons. I’ve seen more and more bloggers start using them. Social Warfare is the best. You may have noticed that I really tried to make free options work for me before I turned to paid services. My silver lining is that I appreciate these paid services so much more because of all the frustration I experienced with the free services! But I do regret all that wasted time. I could have been focusing on publishing more content during that time. Hopefully you can learn from my mistakes! If you’re trying to monetize your blog, your time is better spent writing quality content – not on the administrative aspects of your blog. Thank you! I use the Soledad theme (http://soledad.pencidesign.com/). Hello! I’d recommend using a paid hosting site like SiteGround or Blue Host. You can then use WordPress through their platform. I use SiteGround and am a huge fan of their technical support. I would have given up the blog long ago if I didn’t have their round-the-clock assistance! As for writing, the tip I use for myself is to do a little every day. Otherwise, it can feel overwhelming. If I set aside 30 minutes each day to write, I’m more likely to do it than if I set aside 3 hours once a week. Good luck!